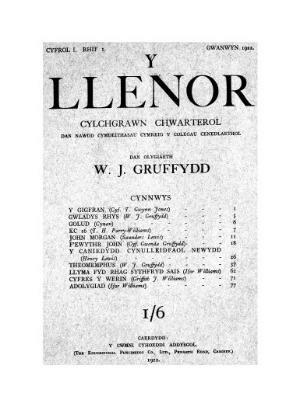 Y Llenor ['the reader'] was a quarterly Welsh-language literary journal containing essays, fiction, poetry and reviews. It was published from 1922 to 1955. Publisher Details: Y Llenor was published by Hughes a’i Fab, Wrexham on behalf of the Welsh societies of the University Colleges of Wales, and edited by W.J. Gruffydd.